As devices go, I find myself going in opposite directions. For different reasons, my cell phone just got a lot bigger and my tablet smaller. The iPhone 6+ is a lot easier to read and the mini-tablet is a lot easier to handle. Research I will get to suggests I will soon be shedding some devices. For me, the size of the keys on the keyboard of the 6+ is more important than making or receiving phone calls, partly because when I do, I am in the Jeep where it happens via the sound system or on speaker mode. Very rarely do I raise the phone to my ear anymore and the larger size works just fine when I do. Even for people north of age 65, such as me, only 18% use their cell phones a lot for phone calls compared to 38% of the general population, according to Gallup. Among Americans overall, 18% rarely use cellphones a lot to make or receive phone calls, compared to 27% who rarely use them for text messages and 29% who don’t use them to read or send emails. More telling though, is that more than half of Americans now rarely, if ever, use a landline. More than 64% rarely, if ever, use a landline at work now. Even among those in my age group, only 17% still frequently use a landline from home. Of course, all but 7% of those under age 30 are probably looking up to find out what a landline is. 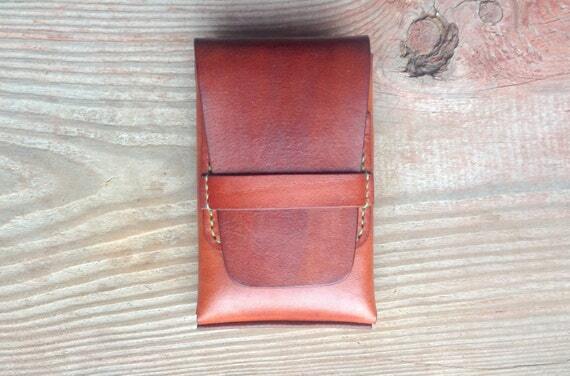 By the way, for anyone who wears a leather belt-loop holster to carry their phone when not in use, I have a recommendation for where to get one, especially for an iPhone 6 or 6+, and even more so if you use a protective case. Alyssa Nott, an artist up in Fort Wayne, Indiana makes these to your specification and she does wonderful work. In 2012, friends who learned I had read several books on my cellphone during one of my annual cross-country trips since retiring five years ago, thought I was crazy. I didn’t realize I was among only 8% of people my age who read e-books, available from numerous apps including one from local bookstores, and even as loaners from some public libraries now. But that same study showed that by 2012, a quarter of Americans who read e-books did so on a cellphone, including 41% of those ages 16-29. I always read a bit before going to sleep, often just reversing the screen from white with black type to black with only the type backlit. I have found myself, without realizing it, using the iPhone 6+ instead of the tablet. It isn’t inconceivable that I won’t buy another television either. I am one of the nearly 8 million Americans who only stream when it comes to television and I have to say, watching on an iPhone 6+ is pretty impressive. Those who measure television viewership are scrambling right now to do a much better job of capturing metrics across all screens as well as digging deeper into things like engagement. A report this month showed that mobile apps are surpassing television in minutes per day. In part, this is because television viewership is “graying,” and nowhere more than cable. Click on the infographic shown in this post to see an illustration. Click on the chart at this link to see the growth in “app events” (action completed inside apps, not just opening and closing them) just since I retired at the end of 2009. Time spent on mobile devices in the US grew 9.3% over the last nine months to an average of almost three hours a day, while time spent on television was flat at 2 hours and 48 minutes per day. But a Nielsen executive last month noted that the drop in prime-time television ratings is the result of people watching on other devices. It just hasn’t reached agreement on how that will be counted. This sounds a little like newspaper executives a decade ago who were arguing that circulation has been level since 1991, just as advertising revenues, which translate more to the bottom line, were going into a free fall that continues today. Millennials still watch television, just not traditional television and especially not television news. By location, 98% view video at home on a smartphone as do 58% at a friend or significant others home. Half view it on a smartphone while on vacation, more than a third while commuting, and a fourth will at a restaurant or bar. They are watching television, just not on a television set, and just not live. My career in community marketing reaches back to a time when it was important to note whether hotel rooms had a television, a color television. I can now see the time when having an in-room television will be as obsolete as that landline telephone they still have. By happenstance, I did something the month after I arrived in Durham, North Carolina to jumpstart its community marketing that I would recommend to any newly appointed DMO exec. This exposure came back to me as I used an interactive map about arrests broken down by community, including comparisons of ethnicity of the suspects, which I will get to in a minute. At a small gathering that summer of 1989, I was introduced to Charlie Tiffin, who had served as a Durham police officer for ten years. We formed a connection and he asked me if I would like to ride along with him one night on patrol. It not only gave me a clearer perspective of what Durham visitors who were out late in various districts would experience, but it gave me a close up of what it is like to be a police officer including moments of boredom punctuated with sudden bursts of adrenalin while converging to apprehend suspects. Office Tiffin had just completed his bachelor’s degree from Guilford College after attending Durham Tech following his military service, and was about to start a masters program at Duke. A few years after we met, he was awarded a Fulbright Fellowship and took leave to study in England before earning a Ph.D., all related to policing, while he worked his way up the ranks before retiring to academia in 2005 after being passed over for Chief. Our loss. We’ve had some terrific police chiefs and he would have been among our best. I always believed that contributing time - where possible - to help reduce crime and to put it into perspective was a part of my job in community destination marketing, a field of visitor-centric economic and cultural development. In part, this was because crime coverage is such a dominant part of the news anywhere, but especially for communities heavily covered not only by local news media but those nearby, giving the misimpression of double the trouble when it is just twice the coverage. But this is also because my philosophy of community marketing is that it must involve lowering barriers to perception as much as it does simple promotion, no amount of which can compensate otherwise. Our involvement included playing a role in founding a Durham Crime Cabinet to detect and close gaps between agencies and resources throughout the judicial system. We also began assembling and publishing crime data that compared communities in far more useful and accurate cohorts than the FBI has time to crunch, in part, to help the news media provide better context for local news stories. As part of our work to track metrics related to the perceptions of both local stakeholders and external audiences, we also began including questions on annual surveys to measure community-wide residents’ perceptions of safety. So it is with that background and interest that long after retirement I still find myself interested in reading studies about apparent racial bias in arrests and wishing that instead of just breaking ratios down by ethnicity that they could index to factors such as reduced criminal behavior and resident perceptions of safety. But even in Durham, where those metrics exist, reports seem to fail to connect those dots. Actually, with fewer and fewer resources for investigative reporting, I’m sure journalists feel like stories themselves have become more like headlines. So Tuesday night, after returning home from a new production of Cinderella (I know I’m the authenticity guy but I’m also a good significant other and after all, the moral was “Ella” being herself) I was fascinated by an interactive map published by USA Today. The headline read “Racial gap in U.S. arrest rates: ‘Staggering disparity’” but what caught my eye was the interactive map that permitted readers to drill down to look at state and community data. Because I read only the Durham newspaper for local news, two things surprised me. When you click on data for surrounding communities that are far less ethnically diverse, you see that they are roughly equally if not more disparate in the rate of arrestees who are black vs. non-black. Raleigh, for example, has a ratio of 4.2 arrests of African-Americans for every one non-Black to Durham’s ratio of 5. This is even though Raleigh has much smaller proportion of African-Americans which would have been useful to include in the index. Cary, in the same metro as Raleigh, has an even lower proportion of African-Americans but arrests them at a ratio of 4.6 to 1. Chapel Hill, which is in the Durham metro area also has a much smaller ratio of African-Americans, but arrests them at a ratio of 7.3 to 1. Of course, people there who are ignorant to their own crime would probably dismiss this as arresting criminals who commute from Durham. The fact is, we’ve been beating our police department up about this disparity for more than a year now but when news outlets as well as policing agencies fail to gather or share perspective, the stories and perceptions get skewed. But the stats also tell another story. Raleigh has an arrest rate per 1,000 residents for African-Americans more than 2 1/2 times greater than Durham’s (292.6 compared to 110.3). Its rate for non-Black arrests is 3 times greater. Stats for Greensboro, Winston-Salem and to a lesser extent, because it merges city and county statistics, Charlotte tell a similar story. In a fair world, news outlets in these communities which don’t experience double news coverage might insinuate from this disparity that these communities must have more criminals if not more crime. But what I see is that either Durham needs more police officers and the state needs to fund our fair share of magistrates, assistant DAs and judges or perhaps we as Durham residents also need to better balance our concerns for social justice with less ambivalence about enforcement. See what you think but this further makes the case that in both official reports as well as news reporting about crime, local perspective is most important but should always placed in larger context. While Durham must be ever vigilant about social justice and remain concerned about the disparity by race in arrests. It must also take into concern data about resident perceptions of feeling safe. While overall, 62.4% of residents feel personally safe, a positive-to-negative ratio of 3-to-1 and just above the average here for the past nine years, the percentage for Caucasians is higher, especially among Hispanics. It may not be coincidence that the age cohort feeling least safe is the one that remains most likely to get information via a local newspaper or television station. The perception of safety among Durham residents compared to those in other communities is high. Across the nation, 64% of Americans believe there is more crime, including 41% who believe that is true in their local area. But in Durham, the percentage of African-Americans feeling safe is nearly six percentage points lower than the average for Durham overall. This may mean they don’t feel safe from the police but I suspect it means, that especially neighborhoods that are predominantly black may more frequently be the targets of criminals. Addressing the needs of those neighborhoods may also be one of the reasons for the disparity in arrests. Regardless, I suspect it is a whole lot more complicated than simple disparities. There are other types consumption other than just destination travel that signals how deeply rooted the quest for sense of place is in many of us. One of the examples I will touch on in this essay is with direct mail catalogues for apparel and accessories including why those that seize on authenticity aren’t just a trend. Thumb through one from Orvis, J.L. Powell or Territory Ahead the next time it arrives, and look at how carefully the backdrops reflect the “realness” of places in hopes that it rubs off on the products. It is why when some lose this connection with realness and roots when they fall under private equity owners and then have to scramble to get it back such as has periodically seemed to happen over the years with Eddie Bauer, Lands End and Woolrich, even L.L. Bean and Plow & Hearth. Drifting away from roots and authenticity is usually first manifest online not because the design and functionality isn’t good but because the sites begin to take on a generic quality. This is far too evident in my former field of community destination marketing. Even those depicting communities that still retain aspects of sense of place are not immune. In fact, the drift of marketing materials toward generic may be a sort of graphical “Freudian slip,” unconsciously betraying the deterioration of the “there” there in a particular community. Research shows that even the so-called “selfie-generation” holds authenticity as one of the top five attributes for brands of any type. This is inspiring some historic brands to return to its roots with its 1816 catalogue. The founder of a newer entry in that apparel and gear market is Guideboat Co. and he comes by his sense of authenticity honestly. Steven Gordon also founded Restoration Hardware when he was restoring an old Queen Anne Victorian house in Eureka, California more than three decades ago. The inspiration emerged as he started collecting source material for authentic items such as door knobs and then began finding similar emblems of authenticity for other folks. In 1980, Gordon opened the first Restoration Hardware store in Eureka’s Old Town District which is where I saw it during a stop while driving up along the Pacific route linking the old Spanish missions in September 2001, the day before 9/11. But I was learning about the company in reverse, spotting the store first along 23rd Avenue in the village-like Northwest District of Portland, Oregon where my daughter lived during the mid to late 1990s. The year after that 2001 road trip up U.S. Route 101 is when one opened where I live in Durham, North Carolina at The Streets at Southpoint, and by then the chain was a long way from its Eureka roots. In 2005, Gordon left the company for others to run. In his words, he missed the trenches but I think he was also beginning to miss the link to authenticity. Lacking the authenticity sensibilities of Starbucks, Restoration Hardware closed that first store in 2008 just before I retired, stating ironically that customers could find alternatives in the suburbs. For a time after he left RH, Gordon ran Sundance, a lifestyle direct mail catalogue that had been started in 1989 by actor/director Robert Redford and named for the mountain resort he developed using sense of place principles up Provo Canyon from BYU. I would still like to find a photographic essay book I saw in Salt Lake City while visiting to attend my daughter’s college graduation. It was centered around quotes from Norman Maclean’s sense-of-place masterpiece, A River Runs Through It. But ever since it was taken public a decade after Redford imbued its sensibilities, the catalogue has strayed far, far away from that sense of authenticity. There are some things private equity firms just can’t grasp. One of them seems to be the importance of sense of rootedness and authenticity that research shows is appealing to at least 7-in-10 consumers and preferred as a backdrop by the remainder. So unable to sustain or transfer sensibilities that come natural to him, some say from his background growing up in the Adirondacks, Gordon started from scratch last year, literally going back to his roots as an entrepreneur with an uncanny grasp of sense of place. He started Guideboat Co., first by restoring two 19th century buildings including an original mercantile store and an old hardware store followed by a direct mail counterpart filled with sense of place images. Business associations such as chambers of commerce often struggle to understand sense of place which is the forte of community marketing counterparts with that as a focus. But sense of place or being authentic and real, is not a trend. Americans have been longing for rootedness and heritage since the day we first steps on these shores more than 500 years ago. The idea of clothing that looks vintage or pre-worn goes back to the 1950s, a fashion so prevalent that it is sure to be a source of heartburn for archeologists one day as they seek to discern what is really authentic from our yearning for authenticity. When we first cranked up community marketing for Durham more than 25 years ago, one of the most popular publications we distributed via the front desks in corporations and other local businesses as a means to encourage visitor circulation was the Downtown Durham Walking Tour. The most common comment we heard back from surveys was that it was cool because the urban village-like character and scale of downtown made it seem so familiar to visitors. In essence it evoked where they grew up or felt they had grown up. That it was all deserted and boarded up back then is urban myth. The fact is, it wasn’t. Festivals frequently filled the streets on weekends. Durham Bulls games filled the old DAP. Thousands walked the streets to and from businesses and agencies each day. One side of Main Street rivaled Brightleaf Square for nightlife, and people who worked four miles away at RTP were already populating second story lofts. There were numerous artist studios Downtown including one for an artist named Tim O. Walker who decorated store fronts below his downtown Durham loft with modernistic furniture designs before leaving for Miami where he took restoration and custom cabinetry to the level of sculpture. Another had been converted into a boutique theater that was packed for micro productions such as Greater Tuna, a la the way performers used storefronts down Mason Street in San Francisco at the time. A brewery and a ravioli factory were building on Durham’s already emerging local foods movement. But two of the most popular downtown businesses back then were places like that first Restoration Hardware, and drew crowds of hobby restorationists from as far as several surrounding states. Rick Morgan has a similar operation here now called The Reuse Warehouse taking to an entirely new level what his parents who own Morgan Imports, did for decades on the side. Steven Gordon would feel right at home there but there isn’t room now for that kind of business in Downtown Durham as it sheds its realness in exchange for higher property values. Developers who fancy themselves as resurrectionists don’t have the restorationist sensibilities of the Morgan’s. City planners and permit issuers would be well advised to have Richard vet all downtown projects for sense of place and authenticity. He grew up just across the tracks from where Morgan Imports is today in the historic Durham Laundry complex. After attending Duke, he served in Vietnam. When he got home in 1969 he established a gift shop like the ones he had seen on leave in Okinawa. It was in the former Stephenson-Wilson Pontiac Dealership which was on Morgan St. where the entrance to parking for Brightleaf Square is now. The building burned and the store became an anchor in Brightleaf, which had been created in 1980 from two historic tobacco warehouses, before the Morgan’s renovated for adaptive reuse first the old Laundry and the building where Parker & Otis is now. The first time I met him, he took me to see a stash of “heart of pine” flooring he had rescued from warehouses being demolished. Richard also represents the heart Durham’s sense of place and someone Stephen Gordon would feel right at home with. You come across people in life who because they happened to get one thing right, begin to fancy themselves as an expert at everything. It’s only annoying until you realize these people are often also consummate lobbyists, not in the professional sense, but individuals with an ax to grind and expert at bending ears. Typically, they also secretly despise data-driven decision-makers or anyone really who prefers to be strategic. 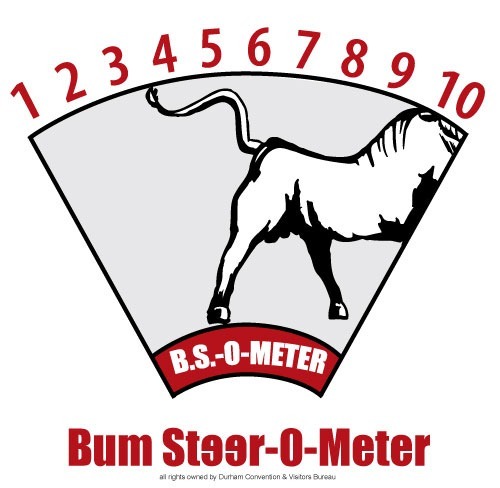 You would think anyone whose ear these people seek to bend especially those in every level of governance would have their “B.S.-O-Meter” dialed to deflection mode. Fortunately many do. But far too many seem to embrace these B.S. artists as kindred spirits, particularly among those who never seem to be able to hold information, detectible because they fail to see the humor in Jimmy Kimmel’s Lie Witness News. It’s probably because they are candidates ripe for a guest appearance. During my long-ago concluded career, for some reason I always got on the wrong side of people like this, maybe because by nature, the threshold of my B.S.-O-Meter is set pretty low. Unfortunately, the nature of my job meant that I couldn’t entirely ignore them. It doesn’t excuse it in the extreme, but none of us is entirely immune from masking reactions to our own ignorance. Never having to bother with listening, reading, having to learn from mistakes or providing evidence to back up their claims, and often in league with those who are similar, these folks have a lot of time on their hands in which to wreak havoc. They are beloved by journalists, not because those in that profession can’t usually see through it, but because people such as they perpetuate conflict, and conflict often gives story ideas a life of their own. Finally, just as I was starting the final decade in my career, cognitive researchers zeroed in on this behavior which was christened the Dunning-Kruger Effect for which they were awarded a Nobel Prize. Dunning notes at some level none of us are immune from feigning to know more than we actually do, but, as in my experience, there are some who take it to an art form. What I call our “B.-S.-O-Meter,” a term I coined in my previous life, was a tool to give ratings to those who promoted inaccuracies about one of the communities for which I was guardian. Our personal “B.S.-O-Meter,” actually kicks in before our second birthday. Unfortunately, that is also, according to Dunning, when we begin to accumulate misbeliefs. Education is meant to set things straight but no amount is a guarantee that someone won’t be susceptible to those who deliberately promote misinformation for agenda purposes or even just because they have an ax to grind. Often those who exhibit Dunning-Kruger Effect are also more vulnerable to being unethical and have a way of getting to elected officials who may, at some level, share that trait and be prone to be unethical. An example in current events today is the corruption among those governing major sports events. The latest manifestations are the decisions by FIFA officials regarding the selection of two future World Cup venues. I know firsthand that this problem permeates sports events down to the local level and it all starts with public officials who insist on going along with demands from promoters for cash subsidies. I wasn’t in Durham a month before a sport event in a community nearby came knocking with its hand out. Fortunately, that is also about the time I met the late Dr. LeRoy Walker. Doc was an officer then with the U.S. Olympic Committee and soon to be its President. He was also very unpretentious, a trait common among Durhamites, and would, until I retired, swing frequently by my office, sometimes weekly, just to talk. He embodied all that is so honorable in sports but he hated the corrosive effects that cash underwriting and subsidies had introduced into sports event venue selection at every level. Fortunately, subsidies weren’t permitted by our organization’s legislative mandate and Doc taught me much more effective ways to draw sports events without handing them cash. But that didn’t stop powerful interests including a few elected officials from doing everything possible to try and corner our organization into “pay outs,” even though we always managed to outperform communities that walked that slippery route when it cam to sports. One end run involved subterfuge regarding nomenclature that even clerks in the Secretary of State’s office failed to detect. Local officials chose to look the other way, even playing along when they saw advantage or to appease special interests. So I am not at all surprised that FIFA officials are attempting to whitewash an investigative report. Corruption and cover-ups are oxygenated when as many people as possible are splattered with blood. Some otherwise very honorable people get caught up in this stew of unethical behavior. It all starts when they allow their ears to get bent by individuals, who might also be otherwise honorable, but who hoodwink them into thinking subsidies are harmless. A famous 2007 study by researchers including Dr. Daniel Kahneman found elected and government officials are no more rational than the rest of us when it comes to this kind of decision-making. They are as irrational as any of us even when they have so much better information at hand, such as the fact that there are plenty of groups that don’t have their hand out, that the economic value added rarely covers the costs of the handouts, and that providing cash subsidies leads to unethical behavior. Often they get caught up in decisions that make no sense in order to make less transparent past decisions that made even less sense. But the real culprit is a faulty B.S.-O-Meter. During my career stretching over four-decades and in each of the three communities I served, I had a front row view of how corrupt decisions got made. Whenever I protested, either my well-being or that of people I cared about was threatened, three times in Durham alone. The news media that society relies on to expose this corruption either doesn’t see it or is too caught up in “he said, she said” to give whistleblowers cover, perhaps because their B.S.-O-Meters burned out a long time ago. 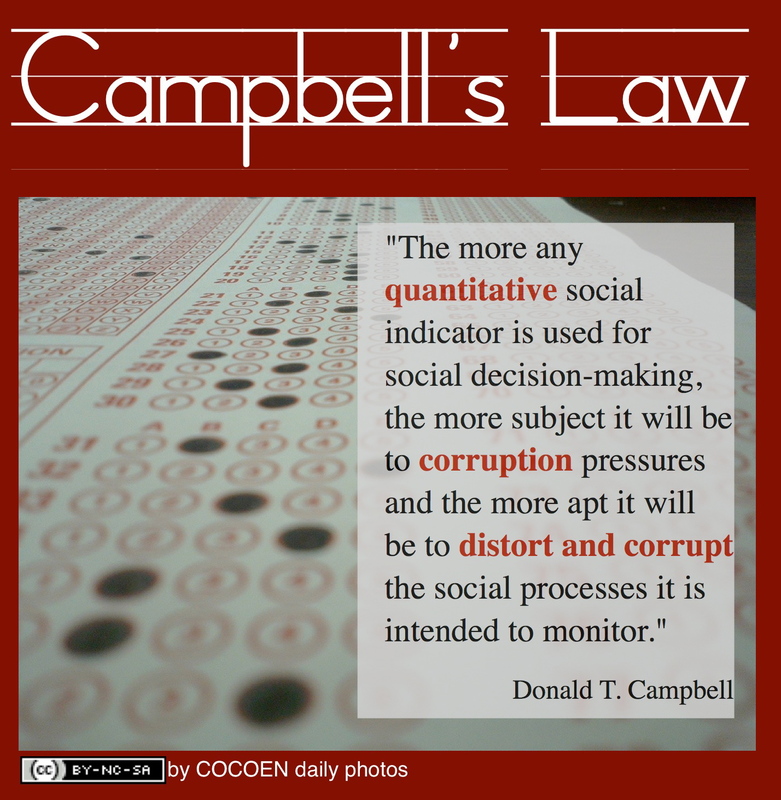 Ironically, some of the most corrupt are often also the highest vote getters. Even incorruptible officials who are peers become enablers when they fail to call this out perhaps for the same reasons I couldn’t. The genesis of this “legalized” corruption is not within government but because we fail as voters to keep our B.S.-O-Meter turned up. Long before he became the single most important person in the revitalization of downtown Durham, North Carolina, he did the same for another community that often suffers the abuses of misuse of a hyphenated airport name. It is also why he already understood the vast difference between a polycentric region such as the one Durham is often linked to, from one that is centered around one dominant city. Polycentric means there is no dominant center. Having that in common when we met about that same time along with an enjoyment of sports cars, especially Porsches, we struck up a friendship. It wasn’t until catching up in passing recently at a neighborhood restaurant where we both frequently dine that he told me my counterpart there in community destination marketing is the one who drew his attention to Tacoma’s downtown for the 4,500-student, 302-faculty member campus, one of three for the University of Washington. This was happening just as I was jumpstarting the one in Durham and a few years before Tallman would follow me here. Coincidentally, Wanetta Ayers, my counterpart who drew his attention to that historic district and who is now head of Business Partnerships for her native Alaska. She had cut her teeth with me at the community destination marketing organization in Anchorage which I headed for most of a decade before jumpstarting the one in Durham. My most vivid memories of Wanetta is that she was “killer” at Trivial Pursuits and was the first person to introduce me to Apple’s Macintosh computer when right after they were released she brought hers into our office of IBM personal computers. The campus Tallman developed in Tacoma is in its historic Union Station District with century-old brick buildings built in the 1880s and early 1900s, much as the old tobacco warehouses were in downtown Durham. There is where his partnership began with Scott Selig, who fresh from a degree at the University of Washington was managing a real estate portfolio for the school. Today that 46-acre campus in Tacoma is in a historic district pinned by a steep bluff and Commencement Bay along the edge of its downtown, next to museums and the beautifully restored Union Station surrounded by restaurants, shops, parks and historic architecture with a spectacular view of Mount Rainier. Another coincidence is that my nephew and his family now live in the historic Proctor District just to the north along the bluff above. Tallman and Scott started the Tacoma campus by giving life to the 8-story, 1907 Perkins building, now residential condos, while establishing the permanent campus several blocks further south. The master plan for the UDub’s Tacoma campus will eventually involve the adaptive reuse of at least 22 historic buildings with new facilities integrated as though they have always been there. The effort has been widely acclaimed including a 1999 National Trust Historic Preservation Honor Award for initial renovation of the project’s first six historic warehouses. But, then as now, Tallman’s respect for sense of place isn’t limited to historical buildings. At the same time he was developing the Tacoma campus for UDub, he developed another satellite in Bothell, north of Seattle, which is just south of Mill Creek where my one of my sisters and brothers-in-law live. Only the north-Sound Bothell campus is designed to fit in with its natural setting incorporating the restoration of a 60-acre wetland, winning accolades from the National Wildlife Federation. During Tallman’s first years in Durham, we formed a mutual respect beyond our PNW connection, perhaps because I wasn’t always panhandling him for something as most others were. He also saw me take some intense heat while standing firm behind a Duke decision to pass on a big event in the late 1990s even though others there would later reverse direction leaving me twisting in the wind. After earning an MBA at Duke in the early 1990s, Scott served a stint with the family real estate business in his native Arkansas before returning to Durham in 2001 to reunite with Tallman as head of the school’s real estate and capital assets at Duke. Together with Nan Koehane who was then serving a decade as Duke’s president, the three hatched a different approach to revitalizing downtown Durham. This time they helped leverage even larger scale adaptive reuse of downtown historic buildings by being an anchor tenant including leasing a full fourth of the complex centered around the former Lucky Strike Factory giving lenders confidence its adaptive reuse was feasible. It is a more nuanced approach: part major anchor, part for renovation and leasing, part facilitation and all done through partnering, shifting portions of 16 campus units to downtown Durham, in turn lessening pressure to cannibalize the school’s incredible natural setting. Scott was also coming on my governing board just as I retired five years ago, further immersing himself in the importance of sense of place and the demand-side of visitor-centric economic and cultural development. Duke has now done this by taking nearly a million square feet of space in downtown including several other historic districts including the recently announced Durham Innovation District, 1.7 million square feet incorporating 15 acres of historic downtown adaptive reuse. Tallman isn’t much for small talk and much of the work he has done to revitalize downtowns over nearly three decades now is an externality to his job and the missions of the universities he has managed. He and Scott may agree with me that there is much Durham could learn from the more strategic approach Tacoma has taken while embracing historic preservation rather than viewing it as a hindrance as some here have begun to do. It is impossible to say that revitalization wouldn’t have taken place without his intervention nor probably will Duke ever seek or be adequately recognized for the pivotal role it plays in Downtown Durham’s resurgence. Even the template established in 1981 with Brightleaf Square reveals earlier Duke fingerprints, both in the backgrounds of its developers and as tenants for 50,000 square feet. Should future historians, unfettered by hyperbole, ever drill down into this second renaissance of downtown Durham to identify the pivotal factor, I’m pretty sure the answer will be Duke University and Tallman Trask. It took me a while to remember why his name was familiar when a new friend my daughter’s age reached out recently to have coffee. It wasn’t because he is the accomplished lead singer for the highly regarded group The Old Ceremony, although that should have been enough. I often start writing each morning to the group’s song Wither on the Vine, Pt. 2. I remember now when I first saw his name, not on a CD cover, but tucked into a remarkable photo essay about Durham that he authored for Design Sponge which I quickly forwarded to my community marketing team a few months before I retired from that field five years ago. It makes sense that Django Haskins and I share a sense of rootedness and a passion for sense of place, particularly in Durham. As activities go, researchers cite music as a form of fantasy but for me at least it is at its most appealing when it reflects authenticity. This explains my preference for the “roots” genre as we call it today and why even what researches find is the least authentic of the performing arts, touring Broadway musicals, that Once resonated so much more than others when I saw it on tour. Authenticity is not only a spectrum, but there is even a spectrum within activities that fall on the least authentic end. But during incessant performance touring, a form of “extreme” tourism, Haskins began to pick up on what gave those rare places a “there” there, a “realness,” unlike the majority of others places where it was impossible to tell where you are. A few years ago, my daughter and only offspring surprised me when she suggested we travel up through Stanley, Idaho, a remote area high in the mountains of my native state, on our annual pilgrimage to a family lake-side rendezvous in the Northern Rockies. As she and my grandsons lay sleeping a few doors down, I arose early and was driving west looking for coffee. Stanley is more than 6200’ above sea level and even in August the early morning temperature was barely 40 degrees. The town’s population of around 60 had swelled just before our arrival with nearly 500 Forest Service firefighters working in shifts to battle the Halstead blaze lighting the pre-dawn sky over the ridge behind Stanley. I had to settle for service station coffee when the song So Far Away came on the satellite radio station I was listening to. Released as a b-side single just before my daughter was born, it became a favorite anthem for us during long stretches between visits as she was growing up. Carole King, the anthem’s singer-songwriter had retreated to the Robinson Bar Ranch, the cut-off to which we would pass that morning on our way to Challis, a couple of years after I took the place-marketing post in Anchorage, my second of three. After thirty years there and just before I retired, she moved just a hundred miles south into the town of Ketchum near Sun Valley which has an airport for private and charter jets. On drives to and from her ranch, King would climb up out of the thirty-mile long valley of ranchland lying between the Sawtooth and White Cloud ranges. Just before crossing over the 9,000’ Galena Pass she would have passed by an overlook dedicated to Senator Frank Church and his wife Bethine. Bethine was the daughter of the former Governor of Idaho who also became a federal judge, named Chase Clark, who in 1917 with his wife had homesteaded the Robinson Bar Ranch. It was across the broad Snake River plain from where my grandparents and great-grandparents had earlier homesteaded ranches along the Tetons and where both my father and I and my two sisters were born. Judge Clark, who had spent much of his life in Idaho Falls, 50 miles below our ranch, died just a few months after I graduated from high school there in 1966. But he, Senator Church and my great-grandfather Messersmith were an inspiration for me growing up, confirming that there was more to being Idahoan than being Republican like most of family were. Carol King started writing hits such as Will You Still Love Me Tomorrow in 1960, when I was a rising 7th Grader, preparing to transcend the rivalry between my native Ashton Huskies and the Challis Vikings by starring on the junior varsity football team for the Greenacres Cubs. Ok, subbing, on the practice squad but I lettered. As an aside, the lead singer for the Shirelles thought the song was too country but the group’s 1961 version (with strings added) became the first #1 hit by an all-girl group, followed the next year by Soldier Boy and Baby It’s You. It is a wonder I ever made it out of puberty, which didn’t start for most boys until the age I was back then. At the time of her first hit as a songwriter, King was still a New York City teenager. By my early 20s she released Tapestry, singing her own songs, one of the biggest selling albums of all time. Just after I turned 30, she sought refuge and found her rootedness in my native Idaho, where its “there” there is most prominent. In all, she has written far more than 400 songs which have been recorded by an astounding 1,000 artists. A subsequent sequence also had special meaning for me because my chosen career was spent encouraging people to travel to particular places. As noted in his incredible essay, “The Geography of Somewhere,” Dr. Scott Russell Sanders explains that for many who travel, it is just a “far flung form of shopping,” merely another form of attention deficit consumption where any “there” there is immaterial. But for the overwhelming proportion of travelers, researchers have learned that even those drawn to this and other forms of fantasy, places with a realness, an authenticity are preferable. Community destination marketing organizations are supposed to be the guardian of sense of place but the great majority of places and their DMO executives have misplaced their bets instead on fantasy. What these places and executives now have in common is a sense of rootlessness. Worthy community marketing instead appeals to rootedness in travelers including those in search of places worthy of love as new residents or for relocating businesses. In his essay, Sanders uses the term “civic” to describe this place-based approach to tourism because the vast majority of travelers are in pursuit not for escape but paradoxically, to reinforce their rootedness and bring back a sense of home. It is why a propensity for “rootedness” and not just a lust for travel should be a core competency sought for communities looking for someone to forge visitor-centric economic and cultural development. Coincidentally, Tony had served in Vietnam with the 82nd Airborne which is based in North Carolina, where I would go next and where I remain. What he also sensed while kidding me is that I was rooted, a job characteristic that helped me help the three communities I served during my career leapfrog those places that surrendered to fantasy instead. 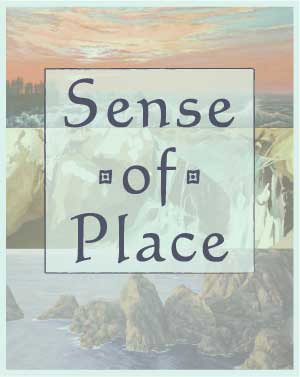 It was in the early 1980s that I first read Dr. Wallace Stegner’s incredible essay coining the term sense of place. It made me value my rootedness in a field where that was rare at the time and even more rare now. He also turned my attention to Wendell Berry, one of his former institute fellows before retiring from Stanford, whom he mentions in the essay. Berry is often compared to Thoreau in his uncanny grasp of and ability to eloquently capture the essence of place. Stegner, Berry and Sanders should be required study for aspiring DMO execs as a means to get their heads around the more noble aspects of tourism. As long as my adopted home is worthy of love from people such as Django Haskins, there is hope for its sense of place. Not only is the term creative class misused, but lost in most analysis of research about this bellwether group is the role of landscape appeal. It is also another reason why officials in Durham, North Carolina, where I live seem short-sighted to keep skipping over the importance of conducting a thorough community-wide i-Tree inventory of tree canopy. Researchers now unpack the creative class into three types of knowledge workers by occupation or avocation: synthetic, analytic and symbolic. Analytic creatives work in universities or research labs and in the R&D divisions of corporations. Synthetic creatives such as entrepreneurs are those involved in applied research, e.g. taking discoveries or what works in one area and applying it to concrete solutions in another such as with processes or systems. Symbolic creatives are those in the cultural industries including everything from design and packaging to marketing organizations to curators, artists and musicians. When communities such as Durham seek to perpetuate appeal to the creative class, they are focusing on the small percentage of individuals who will relocate in a four year span. Symbolics are the least mobile, while analytics are the most. According to Dr. Richard Florida, “many confuse creative class with young workers” but age 25 to 35 just happens to be the cohort least rooted. Even then, rootedness and authenticity, more than “hipness” are the attributes of places to which they are most drawn. In 2003, the year after first publication of The Rise of the Creative Class, I formed a consortium in Durham, to drill down to the county level, long before data mining made that the gold standard. We were one of the first in the nation at that level to do so. But not until digging deeper into the research did I realize until recently that the analysis missed one of the most important attributes to creative class appeal, which is natural setting. Still, as far as it went, It turned out our hunch was correct. Durham County and the four-county Durham MSA, now hyphenated to Durham-Chapel Hill were identified as some of the highest concentrations of creative class workers in the nation. Some people who were too impatient to read the research or the book would leap frenetically in an effort to pigeon hole the create class, jumping to classifying it as only as artists, then ad agencies, then entertainment venues and as some still do now, as entrepreneurs. Of course, the creative class includes or is drawn to places with those attributes and populations but it is more complicated than that. For example, the groups including those noted above are far more comprehensive, and sometimes things have different meanings. For example, by entertainment venues, an active street music scene is far more relevant than large-scale venues, especially those that have high ticket prices and where it is hard to come and go during performances. Overlooked is that “outdoor amenities” are a key ingredient to places where creatives are drawn and congregate. “Outdoor” unpacks into landscape, climate and recreational influences. “Landscape” preferences include forest and open country as well as topographic variation, e.g hills and dales, lakes, rivers and access to mountains and coasts, etc. The greater forest cover a place has, the higher its appeal. Anyone truly familiar with Durham can see why it is appealing to and has such a huge creative class sector. Values such as tolerance (we prefer the word acceptance here,) historic building that are appealing to creative class ventures, organic districts such as Brightleaf and Ninth Street, historic neighborhoods, a world class R&D park and two research university are pivotal. It has a renowned foodie and cultural scene, a downtown entrepreneurial hub along with a landscape mix of urban, small town and rural as well as waterways, greenways and the 60% of forest canopy remaining as shown in the image above of North Durham. It is the same mix that visitors find so appealing, including the 80% to 85% of newcomers and relocating executives who scout the community first as visitors. They may be drawn by the community’s overarching brand (more than a logo or tagline) and the coherent storytelling of its marketing organization but only because Durham delivers on that personality. Officials here have much to worry about including elimination of poverty. But only by fostering all three elements of Durham’s incredible sense of place, a distinctive cocktail of “built,” cultural and natural assets, can its vitality be ensured so as to generate the resources needed. Most at risk is its natural setting or landscape because it is the most fragile. It can be so easily cannibalized by the first two place-based ingredients but without it, they are nothing. 1 Corinthians 13:13, adapted to sense of place, would read – And now these three remain: “built,” cultural and natural. But the greatest of these is “natural.” Because it is the most fragile. Published in 2008, a study of the effectiveness of traditional advertising (TV, radio, and print) found it began to lose steam three decades earlier, long before the Internet became viable for the general public. Using updated research tools, the study reanalyzed scores of studies going back well into the 1960s and found that traditional advertising began to lose steam long before the Internet provided an excuse. Today, even durable goods such as automobiles and appliances, which were lonely exceptions in the 2008 study, have now shifted more than half of any advertising to digital forms. But despite the fact that there is now a negative return from traditional advertising, there is one area where it excels: political attack ads. One is that political races are winner-take-all in this country so a candidate only has to influence one or two percent more voters than his or her opponent, as Thom Tillis did over Kay Hagen in the North Carolina race for U.S. Senate. After $79 million was spent on attack ads by independent groups of anonymous donors on this one race alone, it isn’t likely the narrow outcome in the state where I live was influenced much by the $30+ million spent by the candidates. Two: no other type of advertising would be considered successful because it alienated 2% fewer people than it influenced. Especially since, persuasion of other products and services must influence public opinion every day, not just every four to six years. Three: people are more responsive to negative information than positive. This is why frustrated voters often reward the perpetrators of dysfunction while laying blame on those who tried to do something positive. The question is not how I made it through this election season untainted by this influence but how I came to see three campaign spots, one of them three times. A total of $16.25 was spent per vote, obviously much higher if taking into account only those who didn’t or couldn’t escape the onslaught. It is no secret that I have long been one of the now 7 million Americans who stream all video content including television. During the campaign my radio consumption was only while driving, making coffee or feeding the pups, and it was restricted to satellite radio and NPR. What may be more telling is how those three ads made it through. One was a billboard paid for a group on behalf of Kay Hagen, not an attack ad, but the medium a turn off because it is obviously incongruent with her values. The other two, including one I was forced to wait through two more times was on behalf of Thom Tillis with whom I have worked on state legislation, were only to attack Hagen. I use the word “forced” because whoever paid for these attack ads on You Tube, where I was gleaning content for two personal history essays, apparently paid Google a little extra to turn off the ability to skip these particular ads after a few seconds. Sensitive otherwise to annoying users, Google otherwise enables the “skip ad” feature. It is also because advertisers there are not charged for impressions that are skipped. But the choice of six seconds before skipping an ad may be because Google analysts are familiar with cognitive research finding that 6.5 seconds is all the attention paid to ads, even on-screens such as television. If the message isn’t clear in that window of time, advertisers are wasting their money. In fact, studies show that Americans now pay attention to anything an average of just 8 seconds, down by a third since 2000. That may seem like an eternity if riding a bull or bronc but it is less than the attention span of a gold fish. And the average “memory span” is half as long. It gets worse. Attention span breaks down into five types and only “continuous attention” makes it to 8 seconds. Tempted to dismiss averages? Run it through an 80/20 computation and it will be clear that while a tiny fraction will watch an ad over and over, the vast majority of those the ad is intended to read never register it at all. Traditional adverting is further complicated now not only because consumers, bombarded with an average of 10,000 a day have learned to tune them out, but because the window of attention when given is incredibly brief. Political attack ads work because the advertisers really don’t have to worry about turning off half of those who watch them while reinforcing previously held misinformation in the other half. All they need to do in North Carolina is reach enough Independent (unaffiliated voters) in certain counties to generate an extremely narrow win and they pray the vast numbers it annoyed have short memories. Sound like a good strategy for marketing any other product? Nope, it would be suicide by commercial. Skip alert – readers who don’t know me will not grasp the irony in what I write next. Nearly all of my adult life, I’ve been encouraged to run for office, something I’ve never been inclined to do. This is because I have fared well in surveys of residents about job performance. he’s an independent, therefore wishy-washy and indecisive. Hell, I probably wouldn’t vote for me either. But my reasons for not being interested in elected office have nothing to do with preserving my reputation. There are just good people far better suited. Inertia may be the reason Durham, North Carolina, where I live, was able to dodge complete destruction during the two-decade era of so-called Urban Renewal following WWII. This occurred to me while viewing a screening of a short but impeccable new documentary about the adaptive reuse of the old Lucky Strike factory in Durham which began ten years ago. In December, it will be aired on WRAL, a television station with the same owner and then hopefully it will be online as a must-see. It wasn’t the first or even the largest of the complexes now emblematic of the commercial, “built” portion of Durham’s sense of place but it may be the most impeccable job ever done anywhere. Brightleaf Square had been brought back to life as a template twenty years earlier, followed by an early phase of West Village, historic buildings part of an even larger complex nearby, though not under one roof. But the fact that these wonderful buildings were able to survive the indiscriminate Urban Renewal movement at all is probably because they were still operational as factories and warehouses during the period between 1949 and 1979 which was so devastating across the country to sense of place. The movement’s intended targets were “brownfields,” areas of abandoned industrial blight. But instead it became a virtual “wrecking ball, in the hands of officials pushed by developers bent on destruction of landmarks including entire city blocks and priceless ethnic neighborhoods. Even as a remarkable, overlapping 15 year span of renewed concern for preservation of “sense of place” kicked off in 1965 with the Highway Beautification Act, Urban Renewal had just begun to reach down and hollow out mid-sized communities such as Durham. The HBA was intended for scenic preservation and restoration of trees including scenic views while limiting billboards to areas already blighted and zoned commercial at the time of passage. This resurgence of sense of place preservation also included the National Historic Registry, protection of environmental assets such as pure water, clean air and endangered species and Supreme Court validation of preservation of place as a legitimate role of government. The capstone was an incredible essay in the early 1980s anointing the overarching importance of sense of place. By then there had been “sense of place revolts” in communities such as Durham, an uprising hastening the end of Urban Renewal and ushering in the era of adaptive reuse and gentrification. Maybe not by coincidence, the term gentrification was first coined more than fifty years ago at the dawn of that renewed concern for sense of place by urban sociologist Ruth Glass in her book entitled London: Aspects of Change. There are many different forms of gentrification, even tourism gentrification, but the term essentially refers to adaptive reuse or redevelopment of urban spaces including ripple effects such that it displaces working class people in exchange for middle and upper classes. It is the two-edge sword of gentrification to sense of place. On one hand it preserves some aspects while on the other hollowing it out, a consequence as destructive practices of Urban Renewal. But It isn’t just people who get displaced. In his study of two gentrified neighborhoods from the perspective of those displaced entitled There Goes The ‘Hood, Dr. Lance Freeman describes that it is also community values and cultural norms, even more temporal aspects of sense of place, that are at risk. I arrived in Durham to jump start the community’s first official community marketing organization fewer than 24 months after American Tobacco shuttered its 14-16 acre factory in Durham after more than 110 years of operation. The second of two failed attempts at its adaptive reuse was underway. The documentary focuses on the third which succeeded in part because community marketing had lowered barriers to financing and tenancy by turning around negative perceptions fostered in neighboring communities. But even the subsequent investment of more than $100 million dollars by local governments, as well as government historic tax credits and and new market tax credits which were invested would not have tipped it into success without Duke University relocating resources in Durham to serve as an anchor. But the outcome is also the result of extraordinary developers who with grit and determination focused on resurrecting and creating sense of place. Even documentaries can only tell part of a story. Today, entrepreneurial spirit is noted as a result, a value that can be traced historically back through time here to Durham’s very roots. But the idea of entrepreneurialism as an outcome from gentrification also traces back to 1989 and a paper published by Dr. David Harvey, the author of Spaces of Hope, during the year of that founding of Durham’s community marketing agency. But an aspect that should have dawned on me decades before reading a newly published history is the relationship of adaptive reuse and gentrification with urban open and green space including green infrastructure. Spokane, where I began my career took a very different approach to Urban Renewal than Durham where I finished up five years ago and still live. And we are reminded by an incredibly insightful doctoral dissertation by a BYU alumnus of mine that it didn’t begin there during my tenure with Expo ‘74, an environmental World’s Fair. The transformation in heart of Spokane actually dates to a 1907 with a report by the Olmsted brothers which was then tabled until the 1950s when community leaders sensed Spokane’s downtown too was losing steam and fear had set in that a decline in downtown property values would follow. In the 1960s, Spokane voters turned down bonds until business leaders caught on that what resonated was not rescuing downtown but cleaning up the riverfront and removing blight that obscured the 140’ falls and islands at the heart of the community. But voters were skeptical of downtown property owners and a third bond fell 3 percentage points short of the 60% needed for approval. Unlike Durham which looked to visiting taxpayers, who don’t get to vote, to subsidize the public sector investments in American Tobacco, Spokane businesses voluntarily shouldered a business and occupation tax on their profits. Still, the effort ended up displacing not only the still-operational railroads blighting the waterfront but through a gentrification ripple effect, also hundreds of low income people in an area called Skid Road. Researchers in the 1960s and 1970s began quantifying the value or green space to real estate. By the 1980s and 1990s, the models showed an escalation in the value added by scenic views such as green infrastructure and savvy elected officials began taking notice of the return on investment in tax revenues. As early as 1984, Durham officials banned billboards in part to increase values followed by placing a scenic overlay over Interstate 40. By the early 1990s, officials in many cities began to quantify the contribution to tax revenues from scenery. Evolving a community that is true to its values, sensitive to sense of place, including being affordable for a diverse spectrum of residents will continue to be worthy of love. Residents and officials should be wary of new development that promises jobs, fuels the local business climate and broadens the local tax base at the expense of deteriorating its sense of place or by treating it merely as an amenity for formula development.